A clear and precise definition of the object of homeopathy which is the human being as a living individual. Clinical cases illustrating the therapeutic method based on a settled empiricism, by application of the “law” of similarity. Validity of the homeopathic method is based on the presentation of duly documented, singular, numerous and very diverse cases. In this sense, homeopathy could be thought of as an “Experience based medicine”. 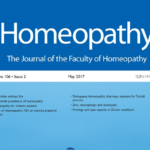 Presentation of rigorous clinical experiences, with sufficient distance, representing the various “currents” of homeopathy. Presentation of the object of homeopathy, in the preamble, and development of theoretical and scientific aspects at the end of each half-day of the congress, coming to articulate, to the presented clinical cases. 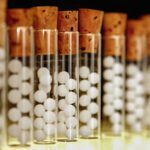 This method of organization, divided in two, should pave the way for a new way of presenting homeopathy able to unify theory and practices on the one hand, and able, also, to make our discipline more presentable and comprehensible for the all the medical and scientific communities and thus join the methods currently recognized by the “Evidence Based Medicine” label.